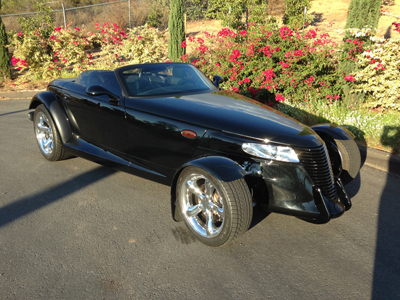 "We Specialize in AFFORDABLE Vintage and Classic Automobiles"
2000 Plymouth Prowler convertible. Only 15,500 miles from new. Automatic/stick shift. 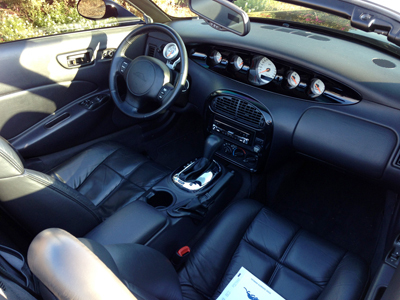 Jet Black with Black leather interior, Black convertible top. Beautiful condition throughout. The pictures say it all. The paint is gorgeous we took the pictures on a cloudy day that you will see reflections of. Vin # 1P3EW65G5YV604039. cost new over $50,000. Looks and drives like new. Need a loan for this car ? I am interested in this car. Please have a salesperson contact me! 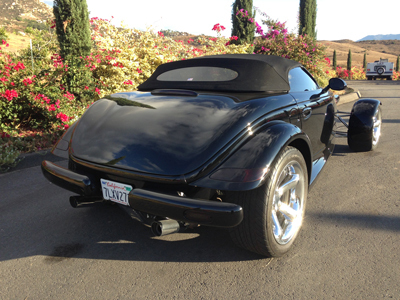 at 619-708-3180 for full information and faster service!